The Sheridan Apartments. —. 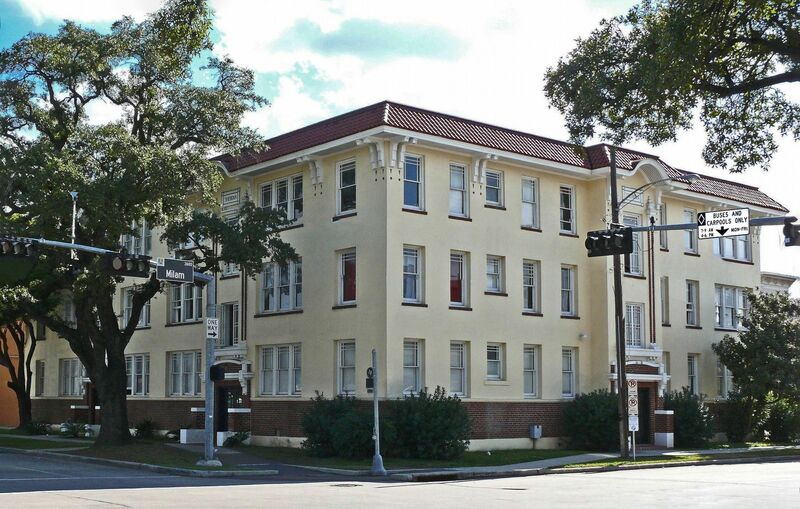 This three-story apartment building was constructed in 1922 to help ease a housing shortage in Houston. It was built and owned by Robert C. Duff, a prominent Texas railroad man and banker before the Great Depression. The building features bracketed eaves and a tile roof and exhibits influences of the arts and crafts and prairie school periods in architectural styling. 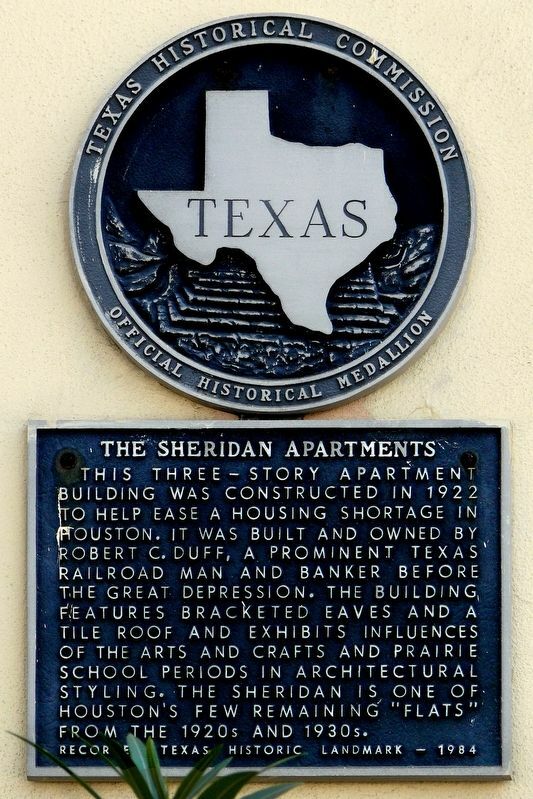 The Sheridan is one of Houston's few remaining "flats" from the 1920s and 1930s. This three-story apartment building was constructed in 1922 to help ease a housing shortage in Houston. It was built and owned by Robert C. Duff, a prominent Texas railroad man and banker before the Great Depression. The building features bracketed eaves and a tile roof and exhibits influences of the arts and crafts and prairie school periods in architectural styling. 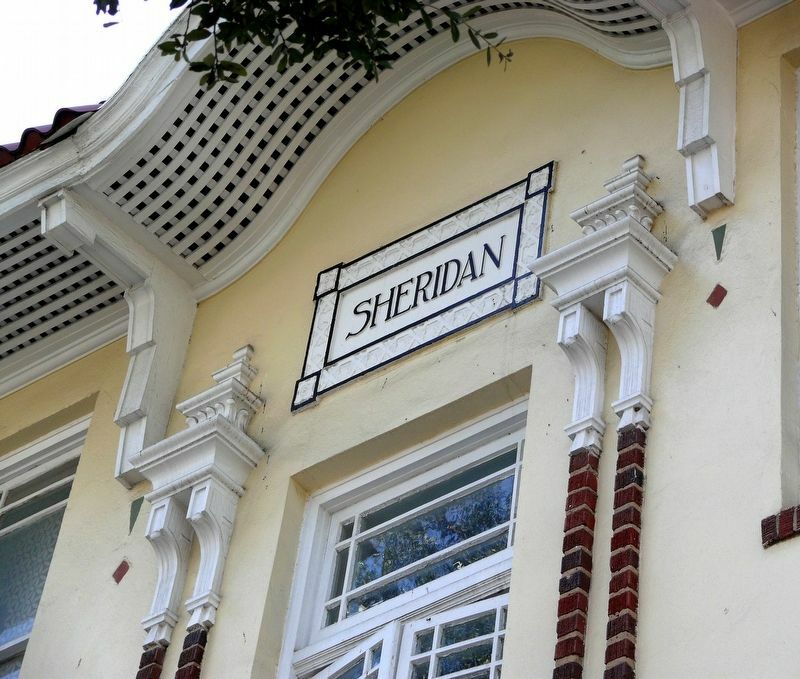 The Sheridan is one of Houston's few remaining "flats" from the 1920s and 1930s. Location. 29° 44.767′ N, 95° 22.533′ W. Marker is in Houston, Texas, in Harris County. Marker is on Milam Street near McGowen Street, on the left when traveling south. Touch for map. Marker is at or near this postal address: 804 McGowen Street, Houston TX 77006, United States of America. Touch for directions. (approx. 0.4 miles away); Courtlandt Place (approx. 0.4 miles away); Trinity Episcopal Church (approx. half a mile away); James L. Autry House (approx. half a mile away); First Evangelical Church (approx. half a mile away); St. Joseph Hospital (approx. 0.6 miles away). Touch for a list and map of all markers in Houston. More. Search the internet for The Sheridan Apartments. Credits. This page was last revised on March 11, 2019. This page originally submitted on March 8, 2019, by Jim Evans of Houston, Texas. This page has been viewed 36 times since then. Photos: 1, 2, 3. submitted on March 8, 2019, by Jim Evans of Houston, Texas. • Andrew Ruppenstein was the editor who published this page.